09/16/2013 - Minnesota trades the 30th overall selection to Edmonton in exchange for the 42nd overall selection and a fourth round selection in 2014. 09/16/2013 - Toronto trades the 53rd overall selection to Buffalo for a sixth round selection in 2014. 09/16/2013 - Minnesota trades a sixth round selection in 2014 to Edmonton in exchange for the 52nd overall selection. 09/16/2013 - Buffalo trades the 20th selection and a fifth round selection in 2015 to Vancouver for forward Mitch Jones. 09/16/2013 - Buffalo trades the 10th overall selection and a second round selection in 2015 to Calgary for forward Joe Resetarits for the 15th overall selection. 09/16/2013 - Edmonton trades the 4th overall selection to the Minnesota Swarm in exchange for the 5th overall selection and defenseman Nik Bilic. 09/13/2013 � COLORADO MAMMOTH: have traded T Ryan Hotaling, the 12th and 18th picks in the second round of the 2013 NLL Entry Draft and their first round pick in the 2015 NLL Entry Draft to the Philadelphia Wings for F Drew Westervelt and the 32nd pick in the fourth round of the 2013 NLL Entry Draft. 06/27/2013 - The Washington Stealth become the VANCOUVER STEALTH. All picks for the Stealth are now under Vancouver. 03/13/2013 - BUFFALO BANDITS: have traded the rights of Mike Thompson to the Philadelphia Wings in exchange for a conditional third round selection in the 2013 Entry Draft, which is the worst of Philadelphia's third rounders. 03/13/2013 - BUFFALO BANDITS: have traded Jimmy Purves to the Rochester Knighthawks in exchange for their second round selection in the 2013 Entry Draft. 12/18/2012 - WASHINGTON STEALTH: have traded Kevin Croswell to the Philadelphia Wings in exchange for their third round selection in the 2013 Entry Draft. **** No mention of this pick being conditional but it would appear that the Stealth should have a Wings third round pick. 11/15/2012 - CALGARY ROUGHNECKS: have traded Cory Conway and their sixth round selection in the 2013 Entry Draft to the Edmonton Rush in exchange for their third round selection in the 2014 Entry draft. 11/14/2012 - EDMONTON RUSH: have traded Aaron Wilson and a conditional second round selection in the 2013 Entry Draft to the Buffalo Bandits in exchange for Jeremy Thompson, which is the worst of Edmonton's second rounders. 10/01/12 - The Calgary Roughnecks traded the 49th overall selection in the 2012 Draft to the Minnesota Swarm in exchange for Minnesota's 6th round selection in the 2013 Draft. 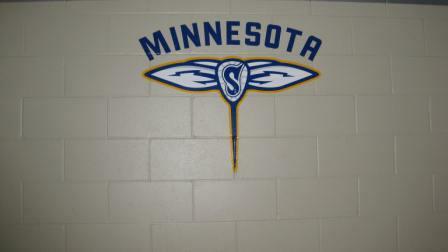 10/01/12 - The Minnesota Swarm traded the 33rd & 35th overall selections in the 2012 Draft to the Edmonton Rush in exchange for the 37th & 46th overall selections and Edmonton's 3rd round selection in the 2013 Draft. 09/21/2012 - WASHINGTON STEALTH: have traded Kyle Hartzell and their fifth round selection in the 2012 Entry Draft to the Philadelphia Wings in exchange for their third round selection in the 2012 Entry Draft and their fifth round selection in the 2013 Entry Draft. 08/13/2012 - BUFFALO BANDITS: have acquired David Brock and Mike Hominuck from the Philadelphia Wings in exchange for Kevin Buchanan and a third-round pick in the 2013 NLL Entry Draft. 07/27/2012 - MINNESOTA SWARM: Have traded two second round picks in the 2013 NLL Entry Draft to the Edmonton Rush for Shawn Williams. 03/20/2012 - WASHINGTON STEALTH: Have traded Jamison Koesterer to the Rochester Knighthawks in exchange for a conditional third round selection in the 2013 Entry Draft. Koesterer did not play or report to the Knighthawks so it appears that the Stealth will not get Rochester's third rounder. 03/20/2012 - MINNESOTA SWARM: Have traded Jamie Shewchuk to the Colorado Mammoth in exchange for their third round selection in the 2013 Entry Draft. 02/17/2012 - MINNESOTA SWARM: Have traded Anthony Cosmo to the Buffalo Bandits in exchange for a first round selection in the 2013 Entry Draft and a first round selection in the 2014 Entry Draft. 10/25/2011 - MINNESOTA SWARM: Have traded Mat Giles to the Buffalo Bandits for a conditional fourth round pick in the 2013 NLL Entry Draft. The pick is conditional on Giles being on the Bandits roster or practice squad at any time in 2011 or 2012. Should Giles not make the Bandits active or practice roster, Buffalo will instead send their sixth-round pick in the 2013 Entry Draft in place of the fourth-round selection. 08/09/2011 - PHILADELPHIA WINGS: Have traded the 20th overall pick (3rd round) in the 2011 Entry Draft and their 2nd round selection in the 2013 Entry Draft to the Minnesota Swarm in exchange for Minnesota's 19th overall pick (2nd Round) in the 2011 Entry Draft and Minnesota's 3rd round selection in the 2013 Entry Draft. The 19th pick in the 2011 Entry Draft acquire by Philadelphia is hereby deemed assigned to Calgary to complete the Paul Dawson trade of October 5, 2010. 08/09/2011 - EDMONTON RUSH: Have traded Brodie Merrill, Mike McLellan, Dean Hill, the 41st overall pick (5th round in the 2011 Entry Draft and a 2013 Entry Draft 4th round selection to the Philadelphia WIngs in exchange for Athan Iannucci, Brodie McDonald, Alex Turner, a 2012 Entry Draft 1st round selection, a 2013 Entry Draft 1st round selection and a 2014 Entry Draft 1st round selection. 07/13/2011 - COLORADO MAMMOTH: Have traded Dan Carey, their 28th overall pick in the 2011 Entry Draft and their first round selection (originally Rochester) in the 2013 Entry Draft to the Toronto Rock in exchange for Creighton Reid, Mat MacLeod and the 9th and 14th overall picks in the 2011 Entry Draft. 03/03/2011 - MINNESOTA SWARM: Have traded Zack Greer to the Edmonton Rush in exchange for their first round selection in the 2013 Entry Draft. 01/26/2011 - MINNESOTA SWARM: Have traded Ryan Sharp to the Toronto Rock in exchange for their first round selection in the 2013 Entry Draft. 01/21/2011 - BOSTON BLAZERS: Have traded their third round selection in the 2013 Entry Draft to the Toronto Rock in exchange for Ryan Dilks. 10/27/2010 - ROCHESTER KNIGHTHAWKS: Have traded John Grant, Mac Allen, their first round selection in the 2011 Entry Draft and their first round selection in the 2013 Entry Draft to the Colorado Mammoth in exchange for Matt Vinc, Matt Zash, Brad Self, and their first round selection and third round selection in the 2012 Entry Draft.